We have experienced some pretty cold weather here at the Lake of the Ozarks! From a few snow storms to downright frigid temperatures, we sure are ready for spring! Unfortunately... we have still have a ways to go before we can start anticipating the arrival of spring. 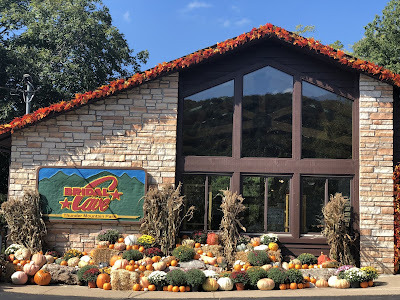 However, what we can celebrate is the fact that at Bridal Cave is a YEAR-ROUND attraction at the Lake of the Ozarks and we have been since 1948! If you are looking for some WARM winter fun, our cave at the Lake of the Ozarks remains a constant 60 degrees no matter what the weather is doing outside. If you can brave the cold to get to our family attraction at the Lake of the Ozarks, we promise we will cure your case of the winter blues! You can take a guided tour through the cave any day of the week which lasts approximately one hour. Tours are conducted over concrete pathways through the Cave’s cozy 60-degree environment. Park interpreters will lead you and your family through room after room of incredible mineral deposits. Giant columns, delicate soda straws, and massive draperies abound throughout the cave. Millions of years of struggle between water and rock have created this cavern with more onyx formations than any other known cave or cavern. 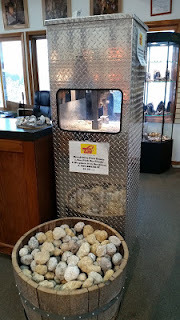 If you've never been to Bridal Cave, you probably don't know that we have a HUGE shop dedicated to rocks, minerals, and gemstones! Our incredible selection of the most unique and fascinating gemstones will keep you and your family entertained for a long time. Each year, our General Manager makes the trip to Orlando to meet with our importers. There, he hand selects only the best rocks from around the world to bring back to our gift shop. A fun activity to enjoy while you are in the park is to break a geode! 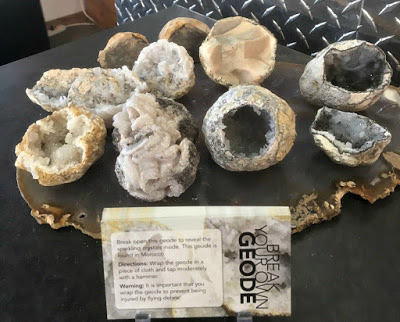 Geodes are typically round rocks that have a hollow cavity in the center that may or may not have beautiful crystals inside! The "unknown" inside these rocks are what makes breaking them open so much fun! The best part is you get to take your geode home after you break it open in our geode press! Bridal Cave is a fun activity no matter how cold it gets outside! 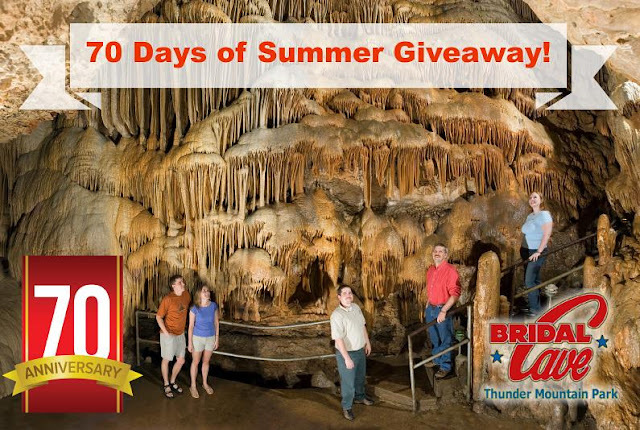 If you've been itching to get out and do something, why not stop by Bridal Cave and take a tour of one of America's most scenic caverns? 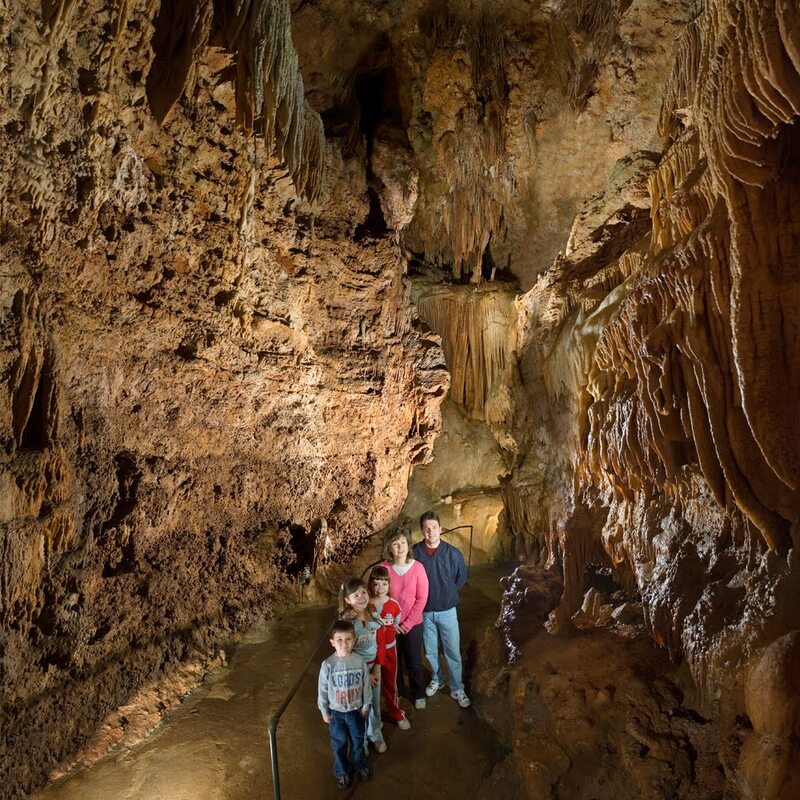 From our stalactite adorned cave, our rock shop, and impressive views of the Lake of the Ozarks, there is plenty to keep you and your family entertained while you are visiting the park. It's always a good day when you spend it with us! 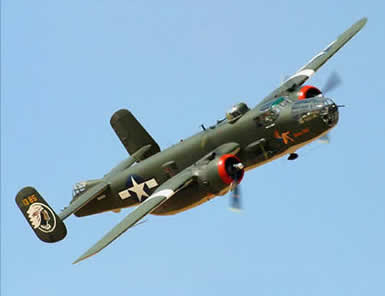 We're open daily from 9am to 4pm and we hope to see you soon!